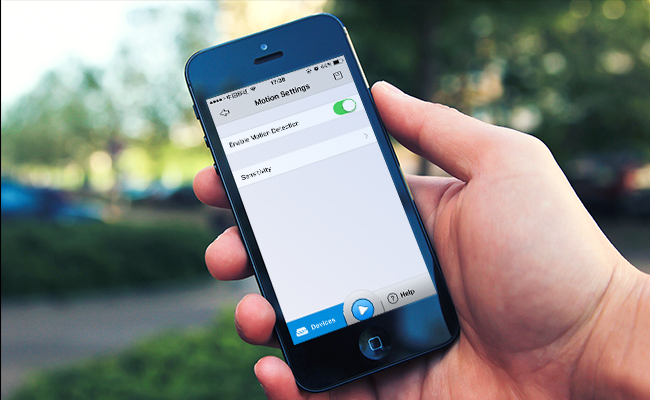 Motion detection is a must-have feature of a smart home security system. For homeowners, getting notified and know what’s happening around the premise is important. 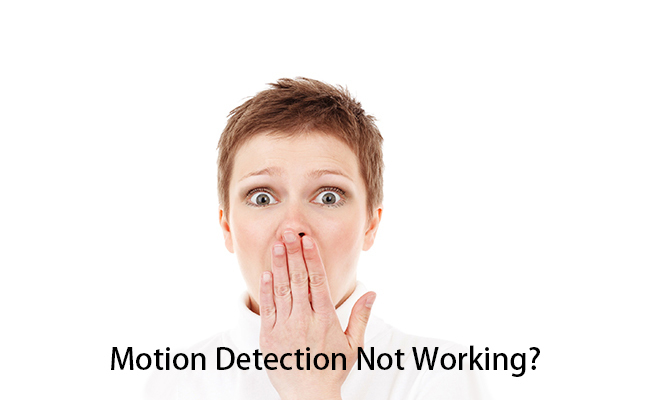 While when the motion camera is being unresponsive, such as motion detection not working, detecting motion but not recording, or delay in motion capture, what should you do? There are two main types of motion sensors in a surveillance system, one triggers motion by measuring changes in pixels and relying on motion algorithm, known as optical-based motion sensor; another sets off motion alarms by detecting body heat and infrared energy, known as PIR motion sensor. Both types could suffer motion miss-out when there is network connection problem. 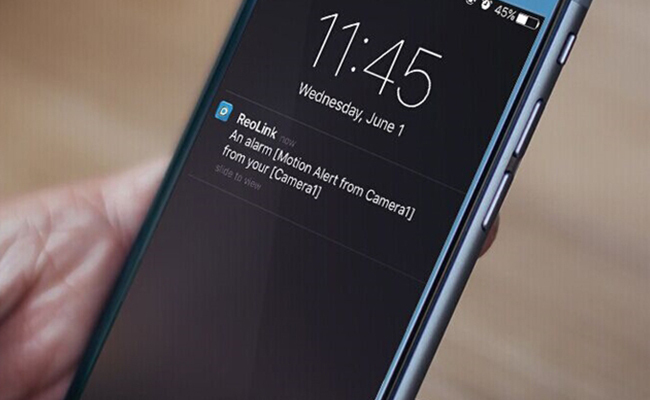 Technical issues like firmware, software, and placement can also be blamed for cameras’ inability to trigger motion alert, record motion or push notifications. Some users might have experienced that their security camera is not reacting to people walking into its frame, nor does the camera capture any motion events. In such case, it’s likely that user forgets to configure motion detection setting during setup stage. Some security cameras will initiate motion detection by default while some are not. Thus, make sure you have enabled motion detection in your desktop software or mobile apps. Or you did all above and the problem is still there, readjust sensibility and change other motion detection settings like increasing sensibility to object size, increasing contrast to the max, resetting Geo-fencing, resetting motion detection schedule or resetting threshold level. Many security cameras will start recording when movement is detected. Behind such technology lies in the complicated algorithm which will calculate the pixies difference between different frames. However, once the algorithm is not properly calculated, situations like cameras are not recording movements even there are people approaching or walking pass, will occur. Updating security camera firmware or firmware of NVR/DVR to the latest version could fix potential bugs that have been meddling with the motion detection or push notification. Monitoring software or apps play a role in motion capture and motion alert triggers since you need them to enable motion detection and trigger in the first place, or not for some of them trigger motion by default. Any bugs or unresolved technical problems in the monitoring software or apps could have an impact on the general performance of your security cameras or systems. Think about the movie Ant-man or TV show Arrow, a simple glitch could jeopardize the overall functionality. Upgrading your apps or software to an updated version and gets rid of this nagging problem once for all. Security cameras with built-in PIR motion sensor, such as Arlo cameras could see cameras do detect motion but fail to record or capture movement. Or cameras can’t detect or record motions through glass or window glass panel. In such cases, avoid placing motion detection security cameras behind the glass window especially cameras with a PIR motion sensor; do place wireless motion sensor security cameras closer to a WiFi router or hotspot. The object from afar is relatively easier to be miss out, so don’t expect security cameras to pick up every movement within its field of view. Focusing on strategic areas for motion detection helps achieve maximal peace of mind as well as reducing unwanted false alarms. Normally, people infuriate about getting loads of false alarm alerts and getting their storage/inbox flooded with notifications, but not so much furious when not getting any notification or motion alert. However, more often than not, no news is not always good news, especially if you are not storing footage to an on-site NVR or uploading to a cloud server, missing out such important forensic video evidence is unnerving. Technically speaking, many cheap or cheapish security cameras, despite having built-in motion sensors, could experience problems like motion detection not working, frequent motion triggers or missing motion capture after months of use. 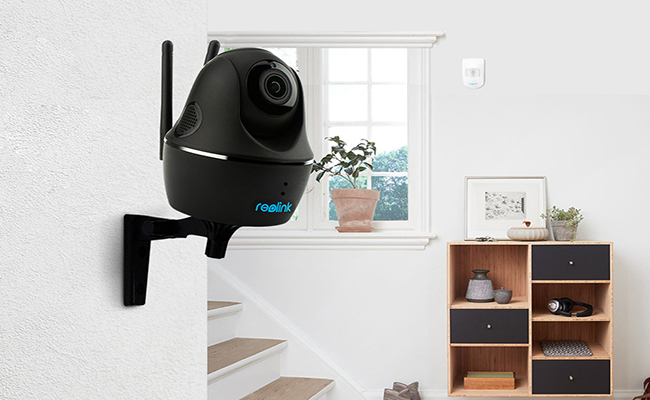 Buying security cameras from top CCTV camera brand like Reolink could reduce such risks and guarantee long-term stability in performance. This entry was posted in Pro Tips & Fixes and tagged motion detection not working, motion notification not working. Love sharing best solutions for home and business security, dedicating herself in providing trendy and useful home security information for readers and helping viewers find the best solutions to their problems. That was a really terrible article. needs to fix this issue. I use both Windows app and apps on iOS (iPad) and Android (Samsung). On the iOS and Android apps you can disable sending of emails but no where in the Windows app will you see that email has been turned off. I went on vacation and turned off emails from motion detection from my iPad and was trying to see why it wasn’t working in the windows app. I remember I turned it off from my iPad. Reolink needs to have all the features and setting available in the Windows app or just do away with it if you aren’t going to maintain it.